Don’t say Barack Obama never tells it how it is. When he revealed to Jeffrey Goldberg that, in his opinion, the Washington foreign-policy establishment fetishizes “credibility,” that obsession with credibility got us into Vietnam, and that he personally has broken out of credibility’s limiting box—well, you might have thought that deep down this was just an embarrassed, ex post facto rationalization of the Syrian red-line debacle. 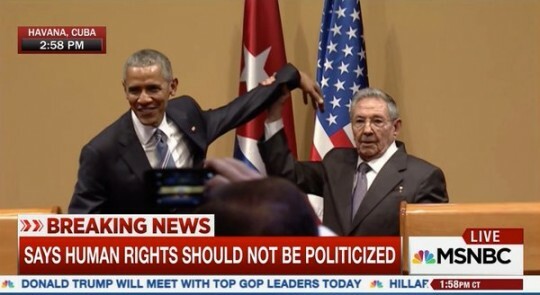 But to watch him stand there today in Cuba, next to a doddering, pompous Communist dictator going out of his way repeatedly to insult Obama and the United States, and in response mustering little more than a weak, “You know, I actually welcome President Castro commenting on some of the areas where he feels we’re falling short,” it is painfully clear that our president is a man long past caring about public humiliation. Raul Castro Wants a List of Political Prisoners in Cuba. Here It Is. 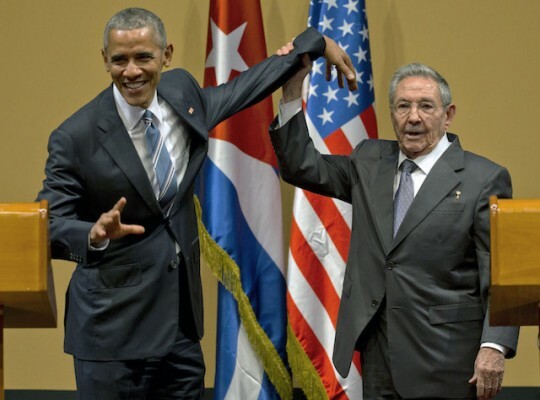 Raul Castro: What Political Prisoners? 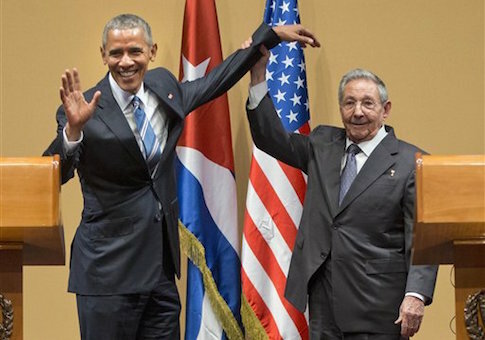 HAVANA (Reuters) – U.S. President Barack Obama was received by Cuban President Raul Castro in Havana on Monday at the start of historic talks where the U.S. leader will press his counterpart for economic and democratic reforms while hearing complaints about U.S. sanctions. 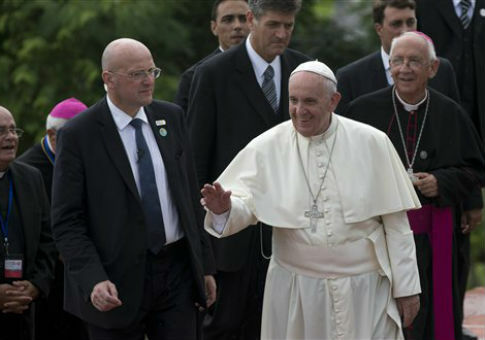 Cuban security officials are reported to have barred dissidents from either meeting with Pope Francis or attending his services in the country, raising further questions about the Castro regime’s commitment to political reforms amid warming ties with the United States.